Tourism in Antalya is breaking all-time highs as the first months of 2019, see record figures traveling to enjoy the delights of the region. January and February are typical out-of-season months for Turkey’s travel industry, but visitors are continuing to arrive via travel agencies from Russia, Germany, and other countries around the world. January and February visitor statistics show a 41% increase year-on-year, to welcome over 190.000 people. Antalya’s tourism industry aims to host 15 million people in 2019, an increase of 3.6 million on 2018’s figures and all indications are that this target is achievable, especially when the official season kicks in at the start of May. Germans were the top visitors with 78.000 arrivals. At the Berlin Tourism Fair, Market Researcher GfK say their studies show Antalya is now the number one preferred holiday destination for Germans, followed by Spain’s Mallorca island and Crete. The increasing demand for package holidays is responsible for a 58% increase in sales revenue. For 2019, Turkey aims to host 5.5 million Germans, and expectations are that a large percentage will choose to holiday in Antalya. Russian Tour operators selling package holidays over the new year period were also credited with increasing visitors to Turkey by 34%. Out of this number 52.000 Russians visited Antalya. Other top visiting nationalities were 15.000 Middle Eastern citizens, 12.000 Poles and 11.000 Brits. Over the last decade, Antalya has not only modernized its airport to become the top touristic air travel hub of Turkey, but it also increased flights schedules. For 2019, Turkey’s national carrier, Turkish Airlines (THY) will operate 41 direct flights from 13 countries from and to Antalya Airport. They are also looking to add additional flights from Saudi Arabia, Lebanon, Azerbaijan, and three more schedules from Amman, the capital of Jordon. They also want to increase their London flights from two to five and have confirmed in months to come; they will launch two more direct flights from Stuttgart and Berlin to cope with the growing popularity for Turkish package holidays among Germans. The increased flight schedules have changed traditional tourism profiles. Pre 2000, the region was relying on European nationalities to boost income, but they can now rely on visitors from all continents on the globe. 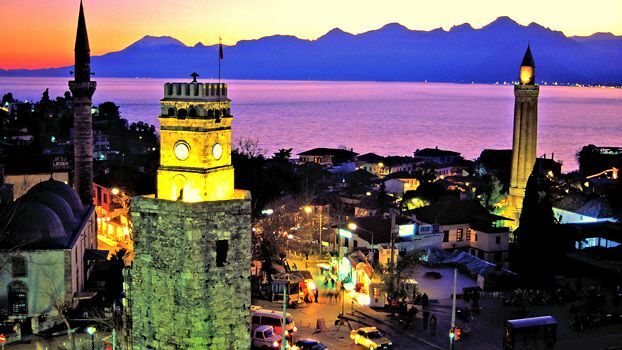 For many years, experts have promoted expanding Antalya’s tourism season out of the traditional May to October period because it has the ideal weather climate to do so. Its Mediterranean position ensures temperatures are higher than holiday resorts on the Aegean, and during March, it's warm enough to sunbathe on the beaches and swim in the sea. The region comprising the city center and smaller coastal resorts like Side also has a wealth of year-round activities to keep non-beach travelers entertained including parks, shops, nightlife venues, trips, archaeological sites, waterfront restaurants and heritage tours. Golf courses in Belek are open all year round, as are the museums, aquarium and Kaleici old town. 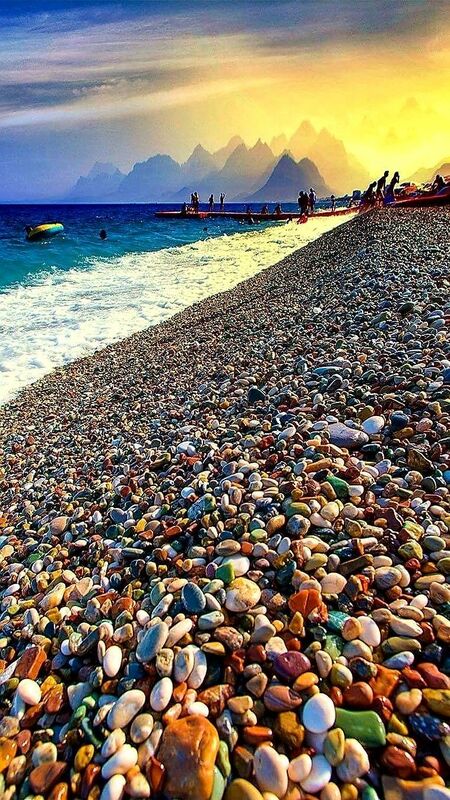 Heading further east along the coastline, the growing town of Alanya is becoming a top travel hub, and has many year-round attractions. Tourism in Antalya is a top performing market of Turkey, and this popularity often spills over into the real estate market. Many repeat tourists buy summer holiday homes, real estate investors prefer buy-to-let property in the most popular touristic districts, and some even go further to buy a house and move to the region. Read more about why property investment in Antalya is popular with foreigners, or contact us if you want to know more about investing in the Turkish real estate market. * Reasons to Buy Property in Antalya: From the famous Lara and Konyaalti districts to the smaller coastal towns of Side, Belek, and Kalkan, the region presents future buyers with many reasons why owning a Mediterranean home is an ideal financial and lifestyle choice to make.